I love learning of a saint's virtue or mortification. 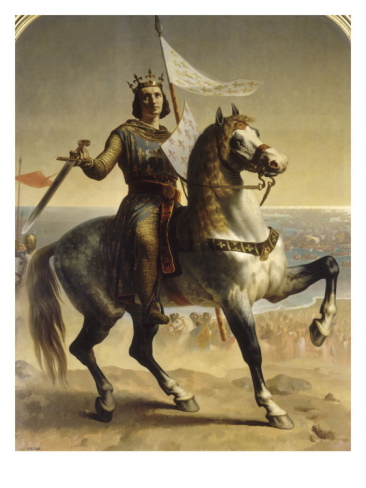 Example today I learned from Father Tony at Mass this morning: Saint Louis of France: "He had a good sense of humor and enjoyed a joke, but refrained from humor on Fridays out of respect for the Passion of the Lord. He wore a hair shirt under his royal robes. He forbade any kind of profanity or vulgarity, and punished it severely in courtiers. During Advent and Lent, he himself would personally wait on and feed the hungry and indigent". 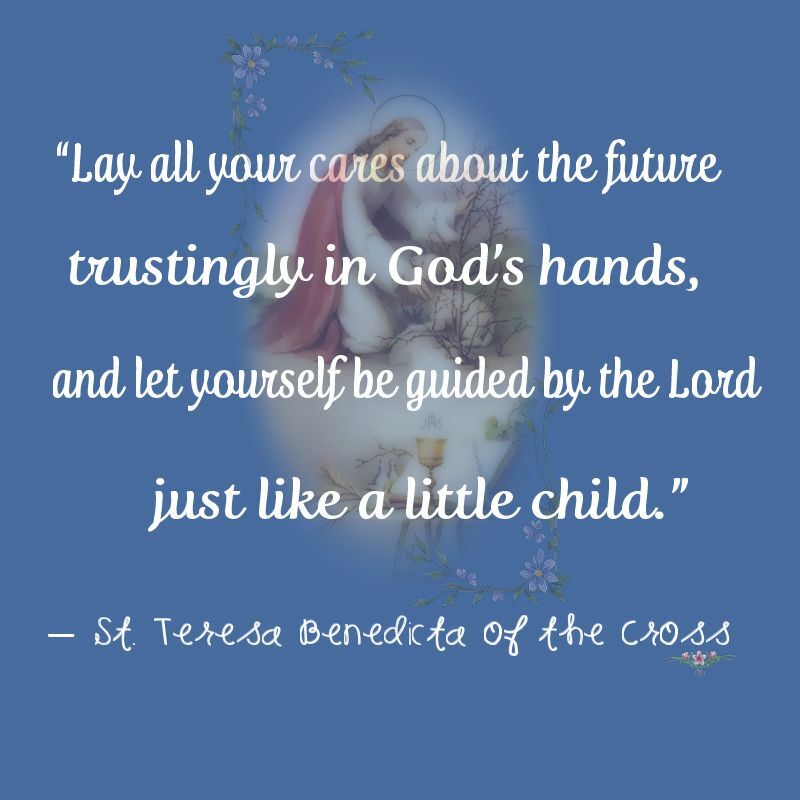 (Diocese of Wichita) Happy Feast Day! 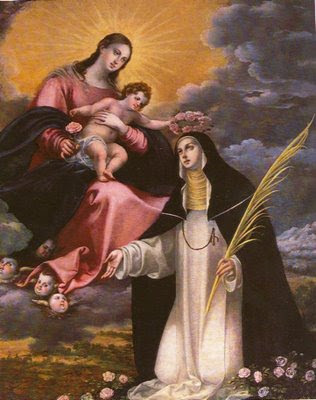 Novena for the intercession of St. Rosa de Lima in Spanish can be found here. You can have it translated at that site. Santa Rosa de Lima, ora por el Perú! the Spouse of the Holy Ghost. we call thee Mother of Divine Compassion. Behold us here in affliction and anguish. Deign to show us thy true love. brings all men to the true faith. 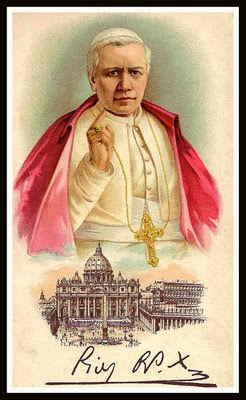 Obtain for us this great gift that all the world may form but one people united in the One True Church. Mary, Mother of Holy Hope. 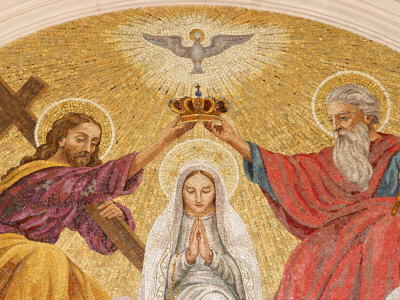 Pope Pius XII originally proclaimed May 31st as the Feast day of the Queenship of Mary. "...8. 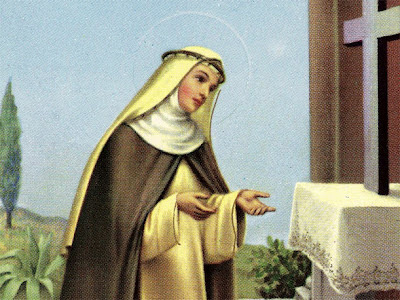 From early times Christians have believed, and not without reason, that she of whom was born the Son of the Most High received privileges of grace above all other beings created by God. He "will reign in the house of Jacob forever," "the Prince of Peace," the "King of Kings and Lord of Lords." And when Christians reflected upon the intimate connection that obtains between a mother and a son, they readily acknowledged the supreme royal dignity of the Mother of God. 9. Hence it is not surprising that the early writers of the Church called Mary "the Mother of the King" and "the Mother of the Lord," basing their stand on the words of St. Gabriel the archangel, who foretold that the Son of Mary would reign forever, and on the words of Elizabeth who greeted her with reverence and called her "the Mother of my Lord." Thereby they clearly signified that she derived a certain eminence and exalted station from the royal dignity of her Son..."
"Mary, then, is a Queen; but for our common consolation, be it known that she is a Queen so sweet, clement, and so ready to help us that Holy Church wills that we salute her as Queen of Mercy. 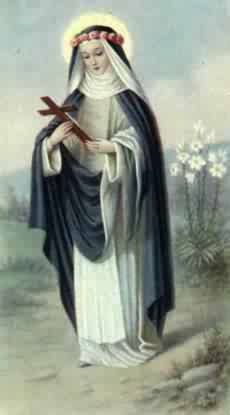 Mary is Queen of Mercy as Jesus is King of Justice." 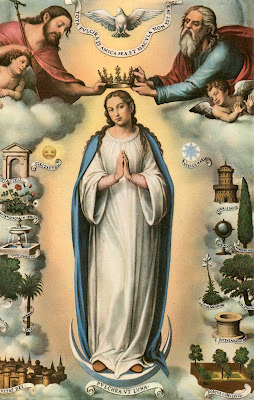 "The purpose of the universal feast of the Queenship of Mary which we again happily observe and welcome this week is to stir up in our souls renewed love and devotion to our Mother and Queen and to invite all to rededicate themselves to her Immaculate Heart. These are indeed days of tension and worry throughout the world with talk of total destruction to mankind by nuclear weapons. 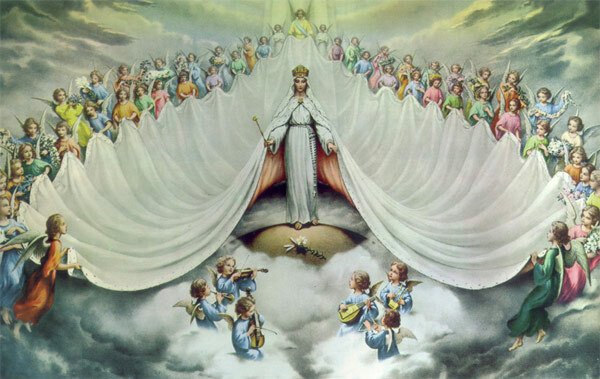 Mary, however, our Queen and our Mother, has come to the rescue of civilization in the centuries that have passed. 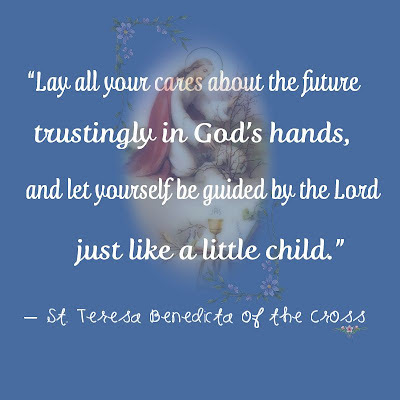 She will do it again if we but turn to her and beseech her for true peace throughout the world. Would that the prayer of Pope Pius XII to Mary our Queen be realized in the minds and wills of all. 'Reign over the minds of men, that they may seek only what is true; over their wills, that they may follow solely what is good; over their hearts, that they may love nothing but what you yourself love.'" "...4. Recourse to God, so infinitely good, is all the more necessary because, far from abating, the struggle grows fiercer and expands unceasingly. It is no longer only the Christian faith that they would uproot at all costs from the hearts of the people; it is any belief which lifting man above the horizon of this world would supernaturally bring back his wearied eyes to heaven. Illusion on the subject is no longer possible. War has been declared against everything supernatural, because behind the supernatural stands God, and because it is God that they want to tear out of the mind and heart of man. 5. The war will be bitter and without respite on the part of those who wage it. That as it goes on harder trials than those which you have hitherto known await you is possible and even probable. Common prudence calls on each of you to prepare for them. And this you will do simply, valiantly, and full of confidence, sure that however fiercely the fight may rage, victory will in the end remain in your hands..."